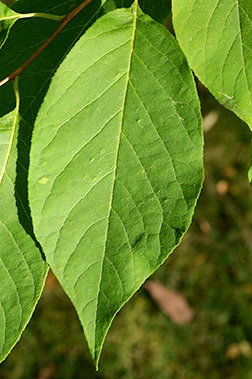 Leaf:Alternate, simple, 3 to 6 inches long, ovate in shape, with a serrate to toothed margin, dark green above, pale and somewhat pubescent below. 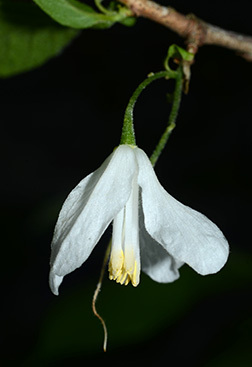 Flower:Very showy white, 4-petaled, bell-shaped, 3/4 to 1 inch long, borne on long stalks in clusters of 4 to 5, appearing in spring. 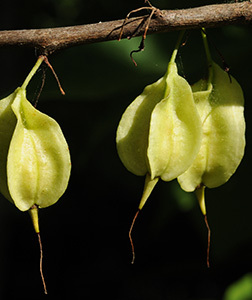 Fruit:A very distinctive oblong, dry, 4-winged, corky drupe that is 1 1/2 to 2 inches long, fleshy fruit matures in autumn, dries, and disperses over winter. 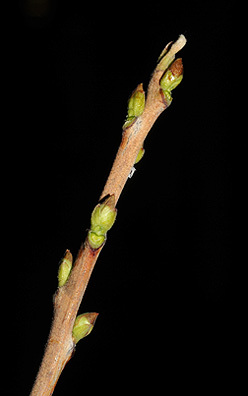 Twig:Somewhat zig-zag (terminal bud is absent), brown in color with reddish brown buds; the pith is white and chambered. 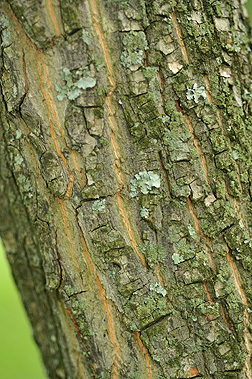 Bark:When young, red-brown with white stripes, forming a rough diamond-shape pattern; older trees develop ridges and furrows. 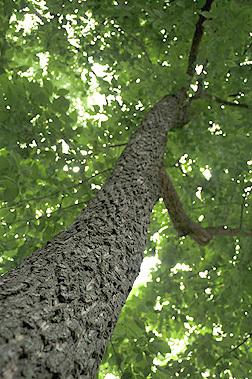 Form:A large shrub or a medium tree with a rounded crown, var. tetraptera commonly to 35 feet and var. monticola to over 100 feet.